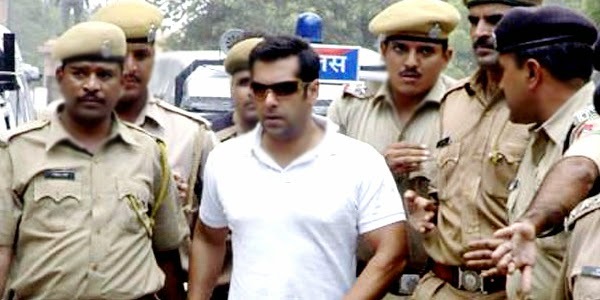 Raaga.com: Sorrowful tale of Salman Khan’s bodyguard … Will his statement land Salman Khan in jail? Sorrowful tale of Salman Khan’s bodyguard … Will his statement land Salman Khan in jail? It seems after Bollywood actor Sanjay Dutt, it is DABANGG star Salman Khan’s turn to cool his heels in the prison because a Mumbai session’s court has allowed the prosecution to rely on the statements of Salman Khan’s dead bodyguard Ravindra Patil in the infamous Salman Khan’s hit-and-run case in 2002. Though Salman Khan’s lawyer, advocates Srikant Shivade, had opposed the application filed by the prosecutor Pradeep Gharat, saying that it would cause prejudice to his client but the Judge D W Deshpande declined his claim. Thus raising hope for Salman Khan’s body guard Ravindra Patil’s to get justice, who died fighting a lone battle against Salman Khan in the hit and run case. The reason why Salman Khan and his advocate are alarmed at Ravindra Patil’s statement is because Patil is the only eye witness in this case. He was sitting next to Salman Khan on the dreadful night of September 28, 2002, when Salman Khan under the influence of alcohol drew his car recklessly. In his statement, recorded by the magistrate, Patil had categorically declared that Salman Khan was under the influence of alcohol and despite his repeated requests to let him drive, Khan ignored his pleas and rammed his car into a bakery in suburban Bandra, killing one person and injuring four others who were sleeping on the pavement. 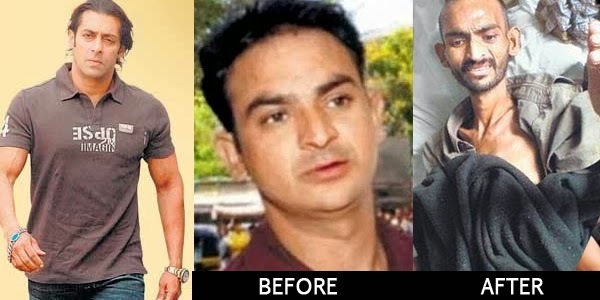 After the ugly accident Ravindra Patil was the first person to lodge an FIR against Salman Khan as a concerned citizen. However later he had to pay a heavy price for his civilian act. Though Patil was a constable in Mumbai police and employed as a body guard to Salman Khan, he was immediately stripped off duty as Khan’s body guard due to his bold remark. Soon he was also pressurized by his department to change his statement. But he was adamant. Later the pressure became so extreme that Patil was compelled to flee from Mumbai so that he could not be present during trial in the court. Patil’s absence was cleverly exploited by Khan’s men as Patil was declared an absconder by the judge for not being present in the court. A warrant was issued and without hearing Patil’s pleas he was arrested and sent to Arthur Road jail. To make his life worse his police job was also stripped! With no job Patil’s family too abandoned him and he was left to begging. The young and handsome Patil’s condition deteriorated to such an extent that he was reduced to skeleton! He was last seen by a news reporter at the Sewri Municipal hospital in Mumbai in 2007. Despite such hardship and humiliation Patil was adamant on his stance regarding Salman Khan’s statement in the hit and ran case. He died an unsung death on October 4, 2007 lamenting that neither the society heard his cries nor God paid heed to his pleas. But now with the judge insisting on Patil’s statement, there appears to be a blink ray of hope of Patil getting justice!!! After all … Bhagwan Ke Ghar Der Hain Andher Nahin (In God's home, there is delay but no denial). If proved the charge of culpable homicide, Salman Khan will attract a 10-year sentence in jail! But the million dollar question is - Will Patil get justice?? ?